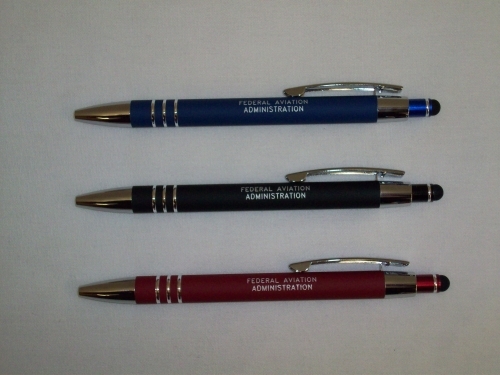 Smooth touch barrel with "Federal Aviation Administration" on barrel. BLACK ink. Choose form blue, black or maroon barrel.